Hair demonstrates more than any other physical characteristic vitality and youth. With the hair loss you loose much more than just your hair – you loose your inner balance, you loose your self esteem – and this can dramatically affect your personality as you can not give the 100% of the real you. The loss means serious esthetical and psychological challenge regardless of age or gender. All of the above reduces ability to enjoy benefits of life and success. You can reach us on the above numbers every working day (MON – FRI) from 8.00 a.m. until 7.00 p.m..
We will be happy to receive your call. It will be our pleasure to see that you are on the way to change your future for the better. Be prepared for success. 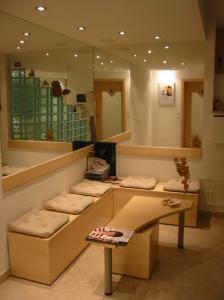 Our studio is opened only at scheduled hours on a basis of a prior confirmation of your visit. 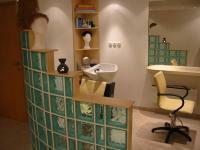 We do accept only people suffering from hair loss or their immediate family or their close friends. Why won’t you enjoy life again? Enjoy it – you deserve the best!